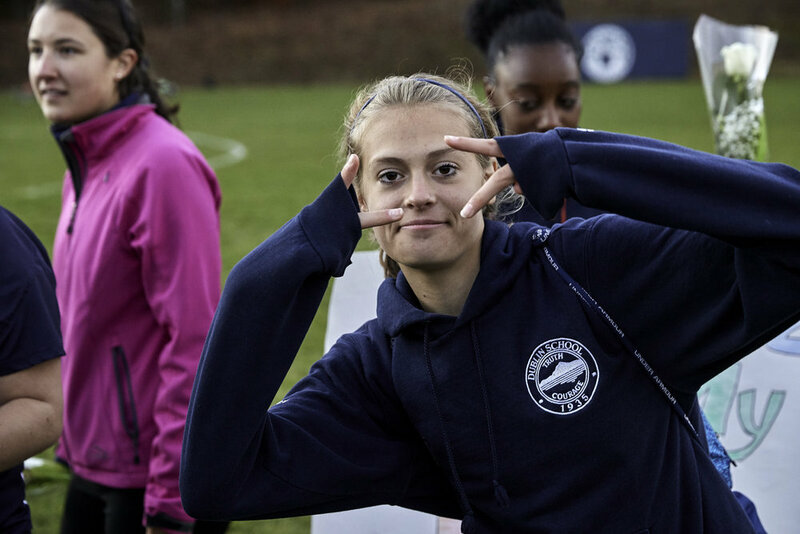 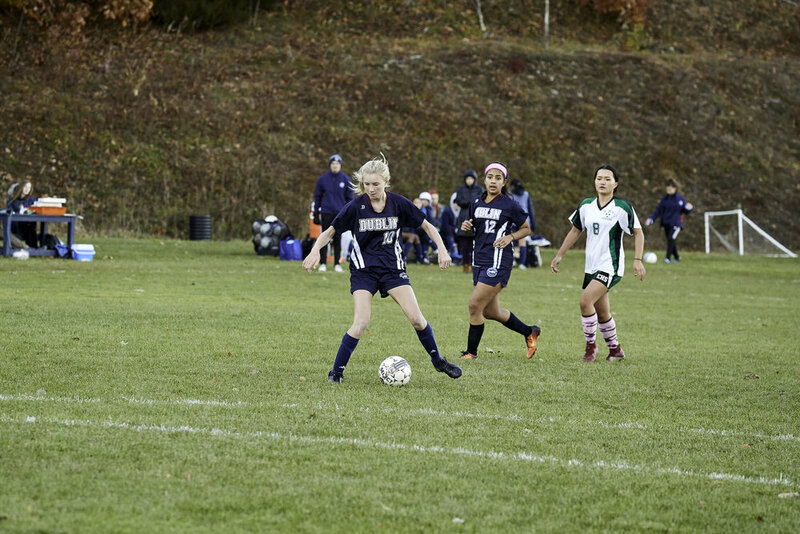 The Dublin School girls soccer team met Stoneleigh Burnham School for the RVAL Championships this Sunday. 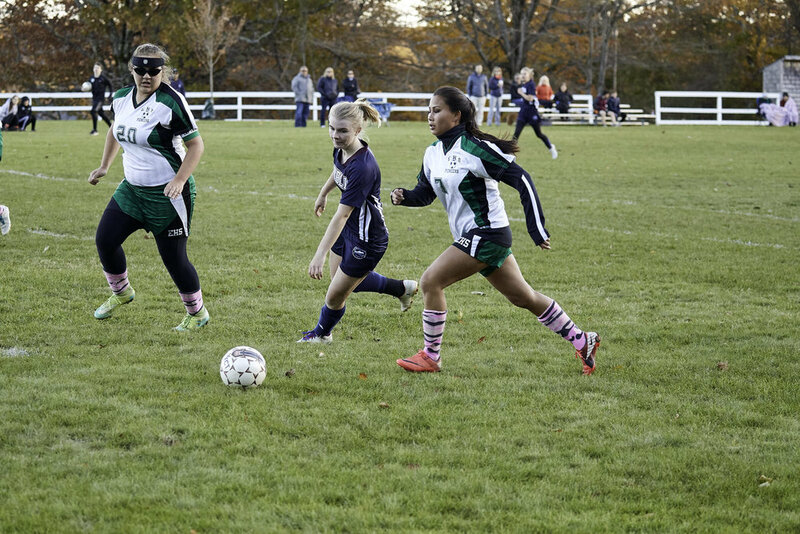 It was a rematch of last year's final, and another installment in a long running rivalry between these two teams. 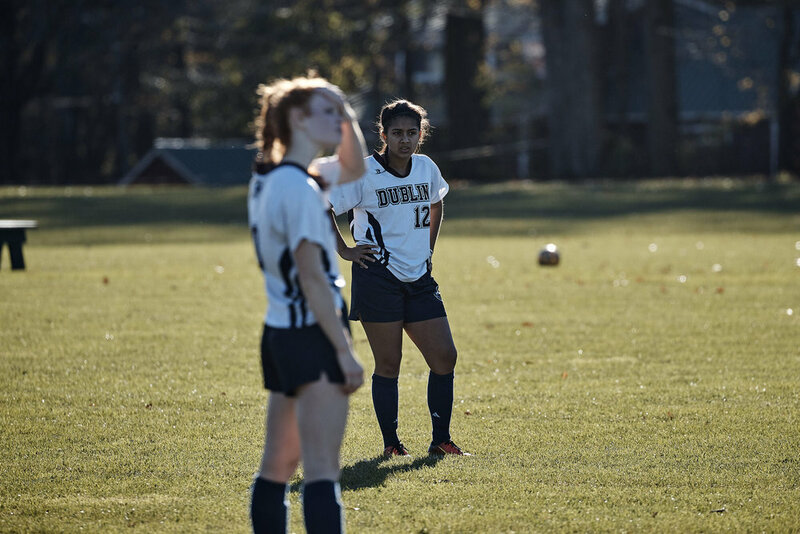 Dublin dominated the first half with an early goal on a penalty kick by Luna. 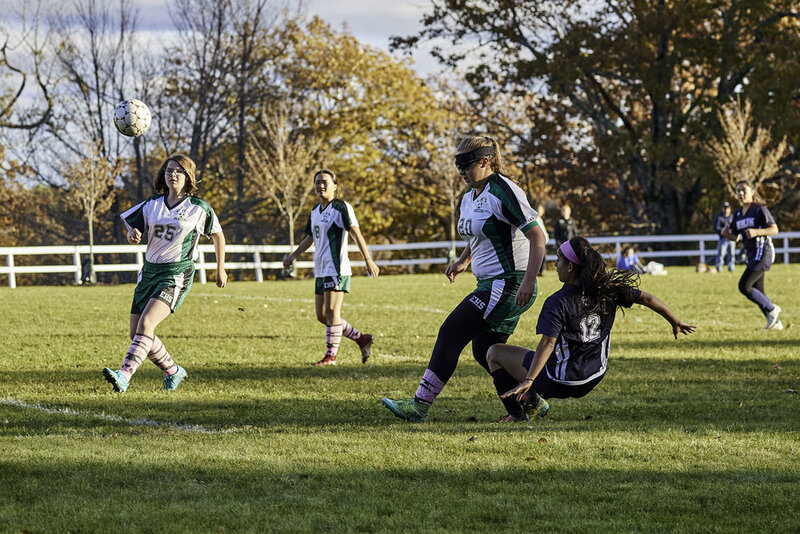 A second goal followed after an incredible pass across the box from Luna was redirected by Liza’s foot mid air. 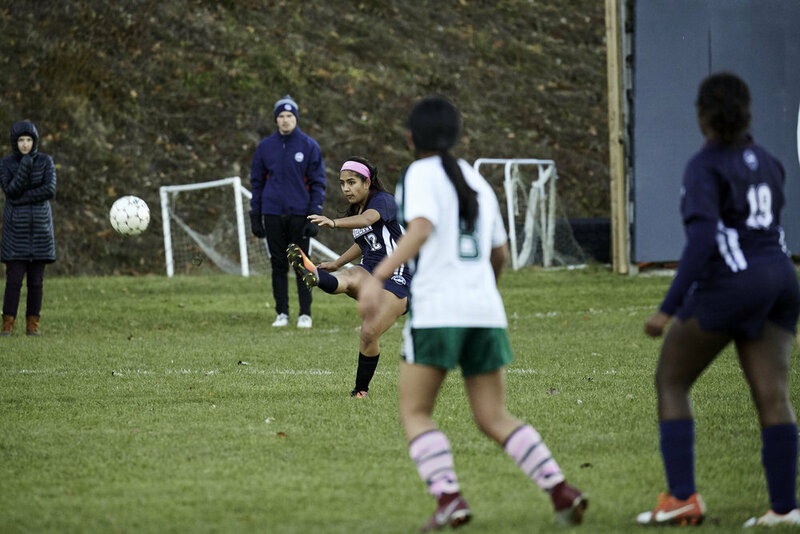 The second half started with another spectacular goal from Luna who made a Beckham-esque shot to the top right corner 12 minutes in. 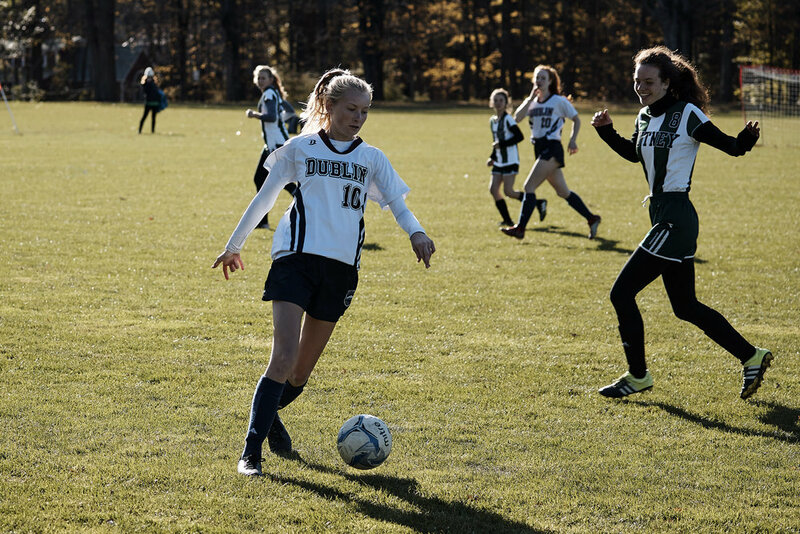 On Thursday, November 1st our Dublin girls soccer team played their semi-final RVAL game against number one seeded Four Rivers. 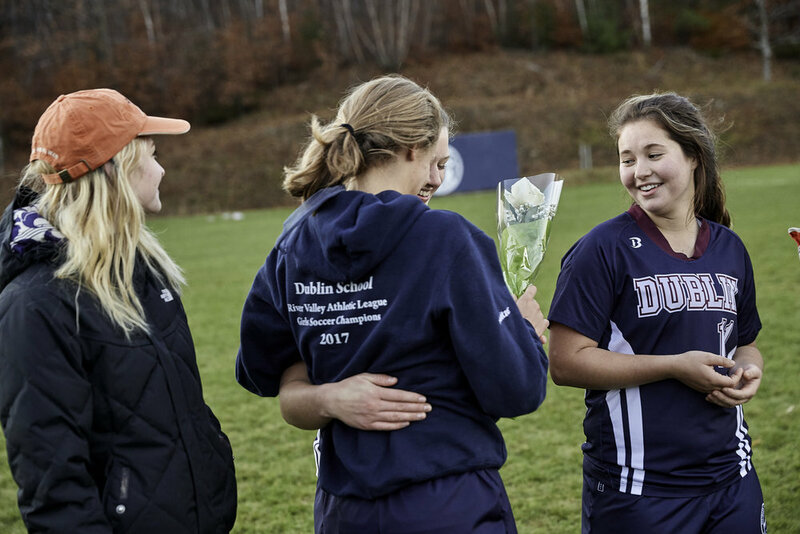 They had previously beat our team 2-6 in late September, so Dublin needed to bring their best if they wanted a win and with it a ticket back to the finals. 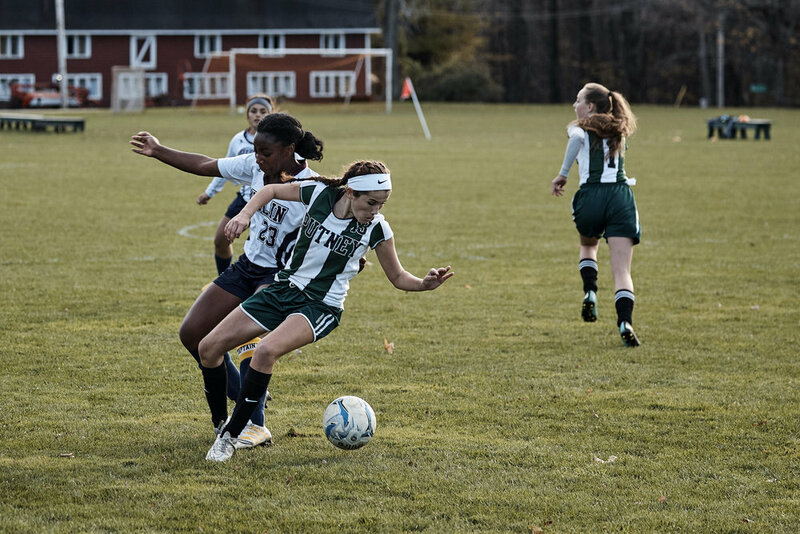 Play was fierce and event to start until forward Luna Hicks scored a spectacular left-footed goal at the end of the first half putting us ahead 1-0. 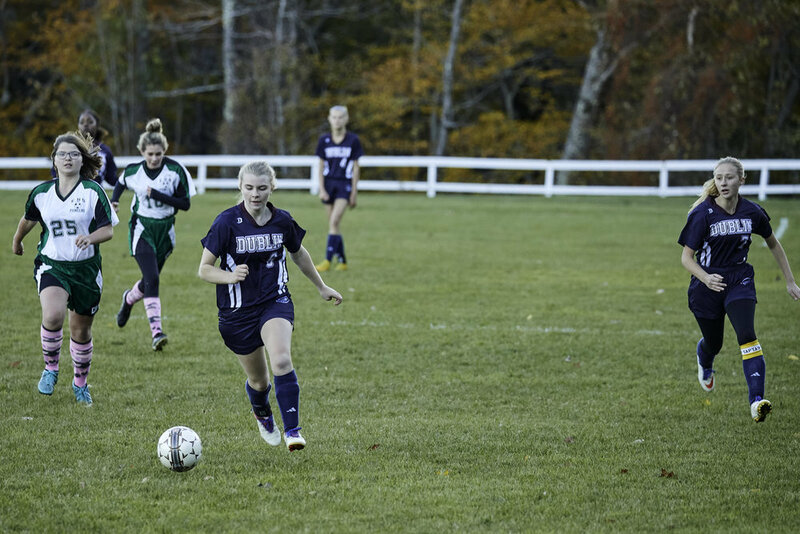 In the second half, Four Rivers tied it 25 minutes in on a breakaway, but Dublin answered five minutes later with another goal from Luna. 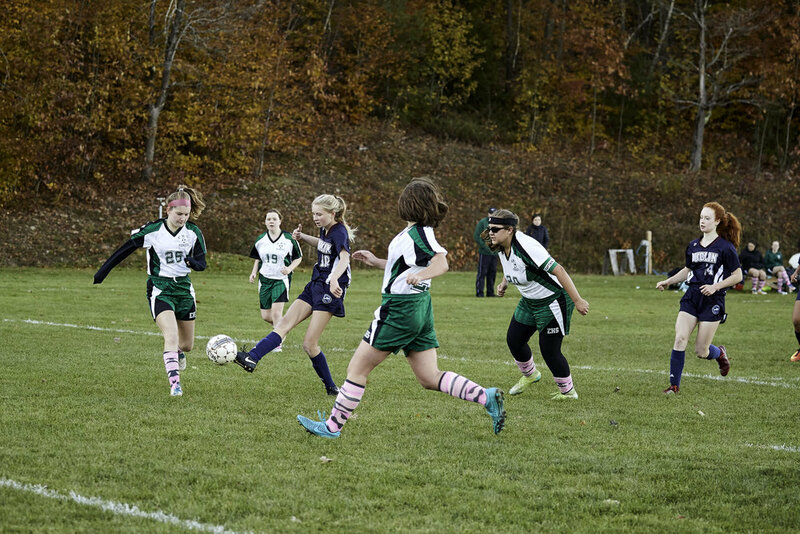 The score remained 2-1 as the end of the game approached until Four Rivers scored their second goal and sending the game into overtime. 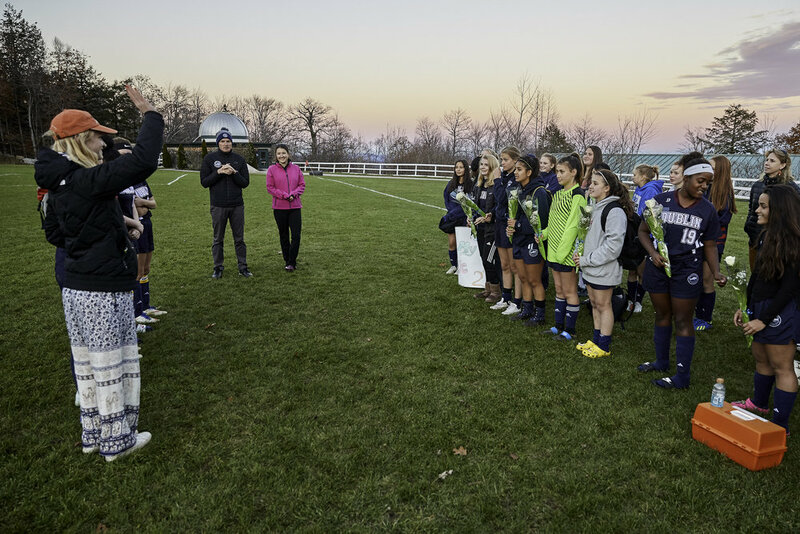 After a nail-biting double overtime with no goals, the team's five top shooters lined up for penalty kicks to decide the winner. 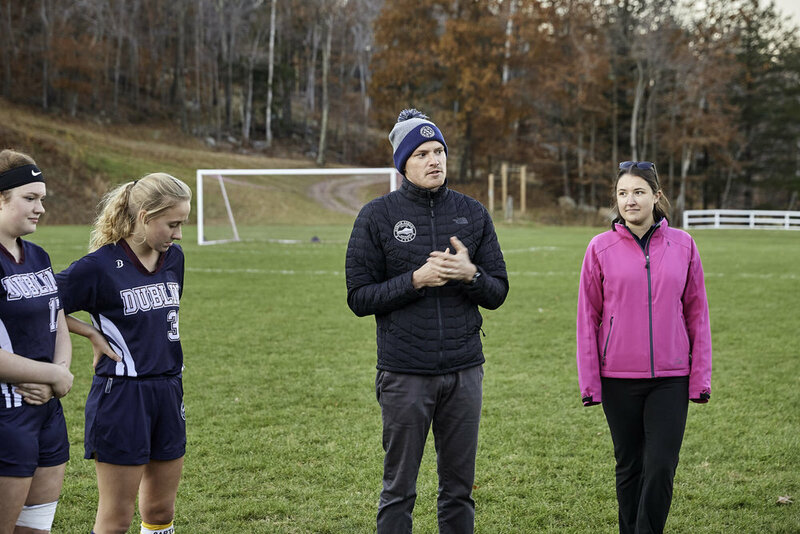 Four Rivers shot first and the first three shooters on each team traded goals. 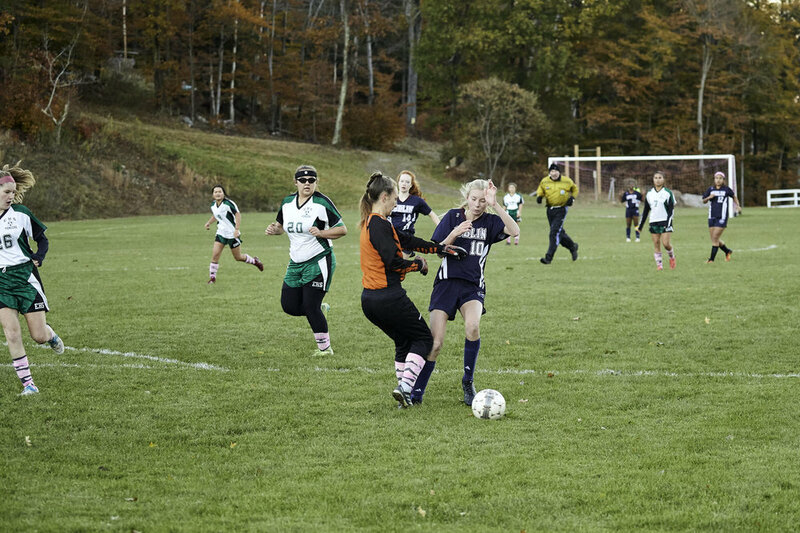 The fourth shooter for Four Rivers missed the goal high, then Mia (our fourth shooter) scored. 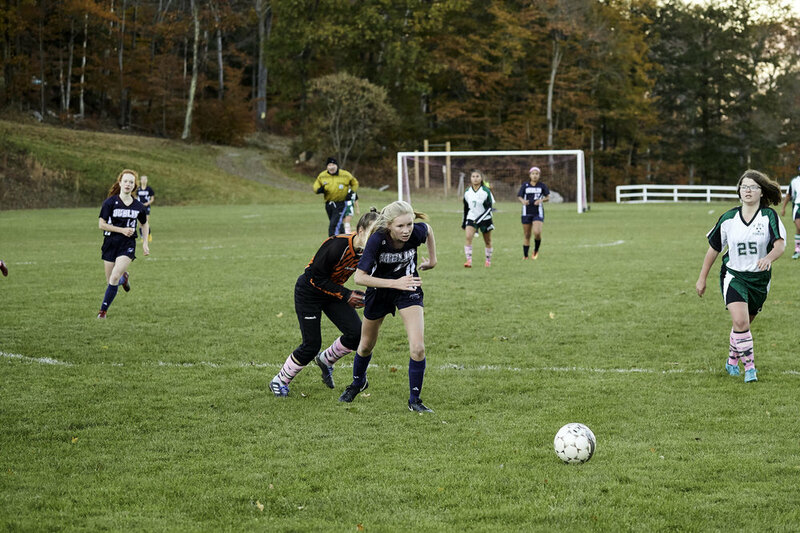 Goalie Christen Taylor saved the next goal and with it the game. 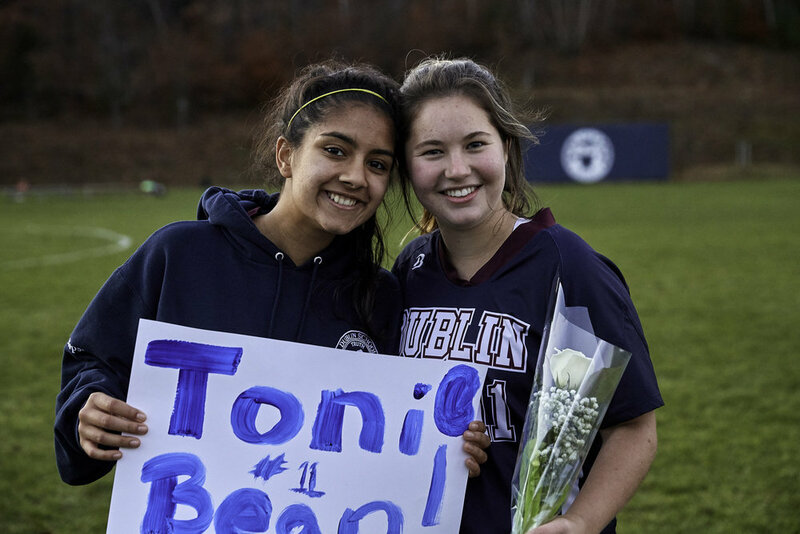 On to the finals for Dublin! 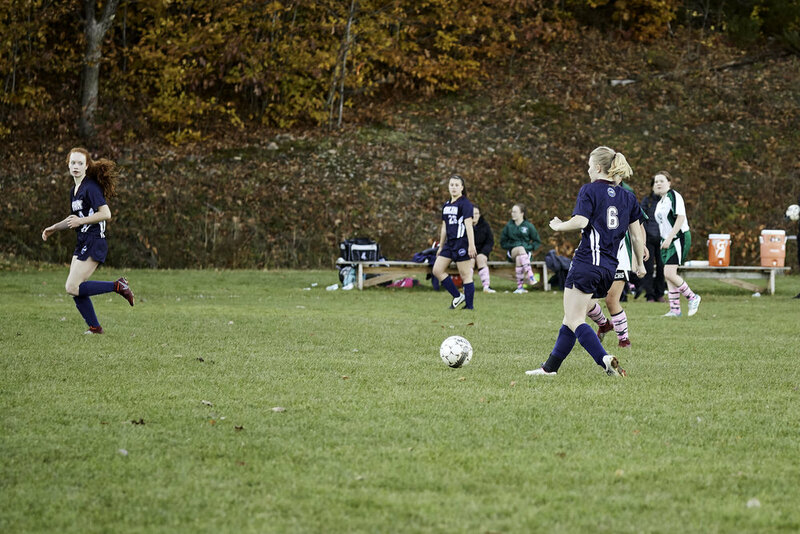 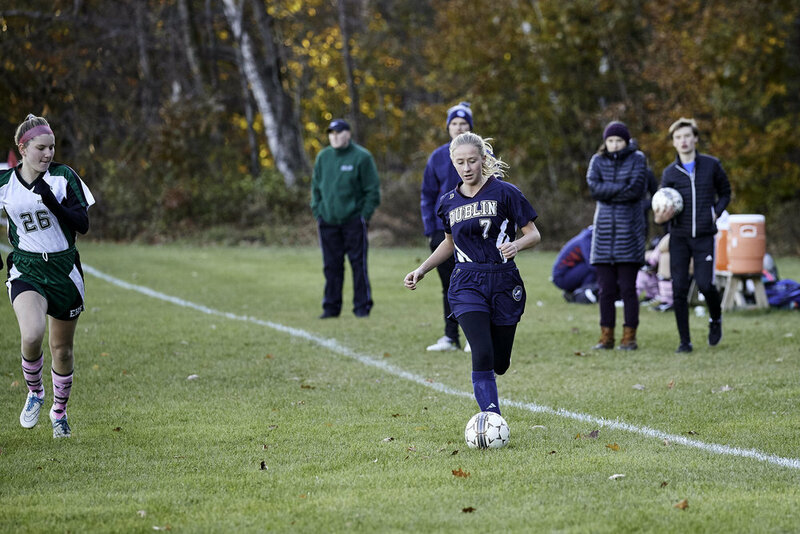 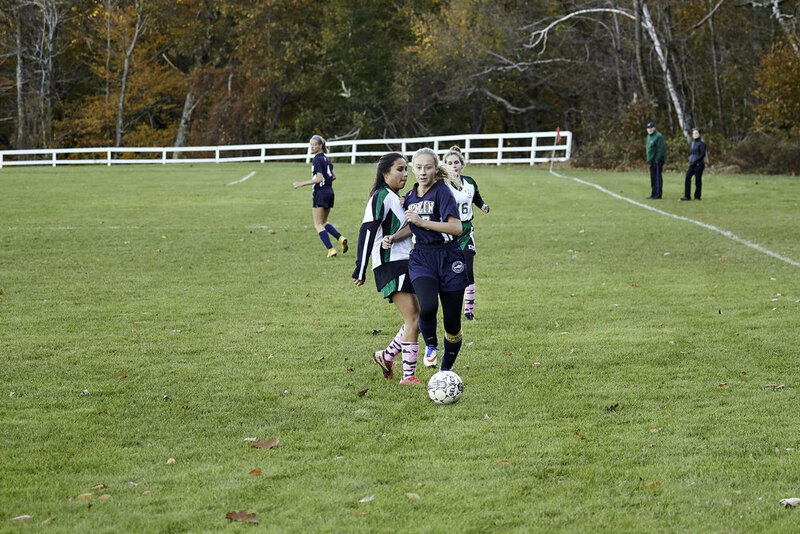 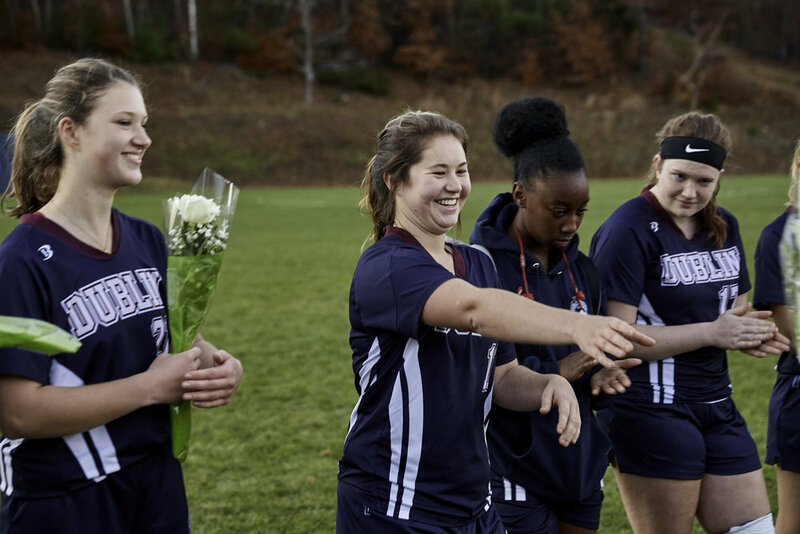 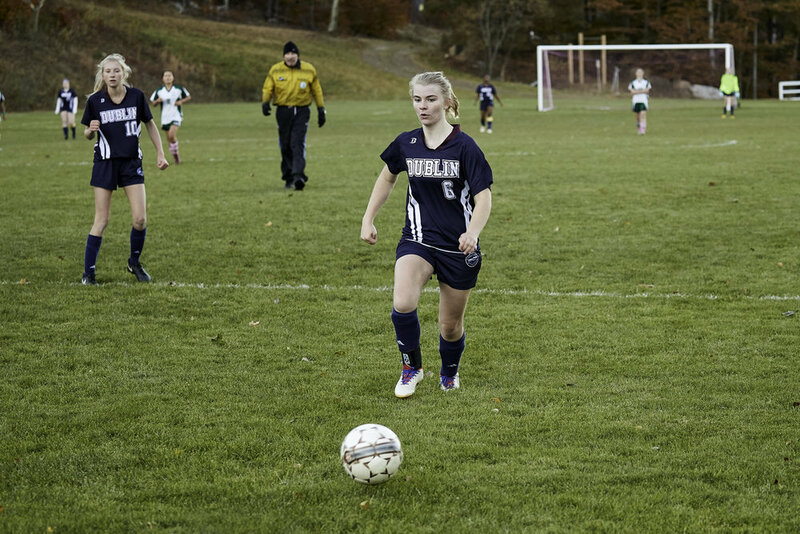 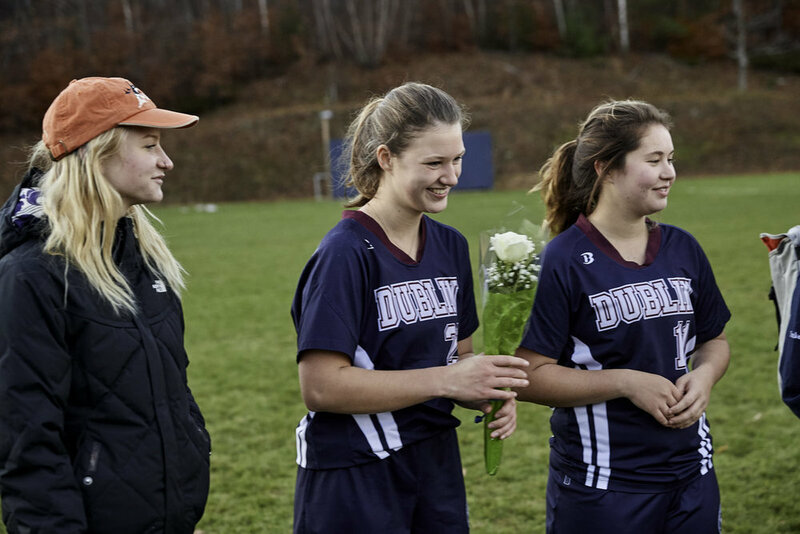 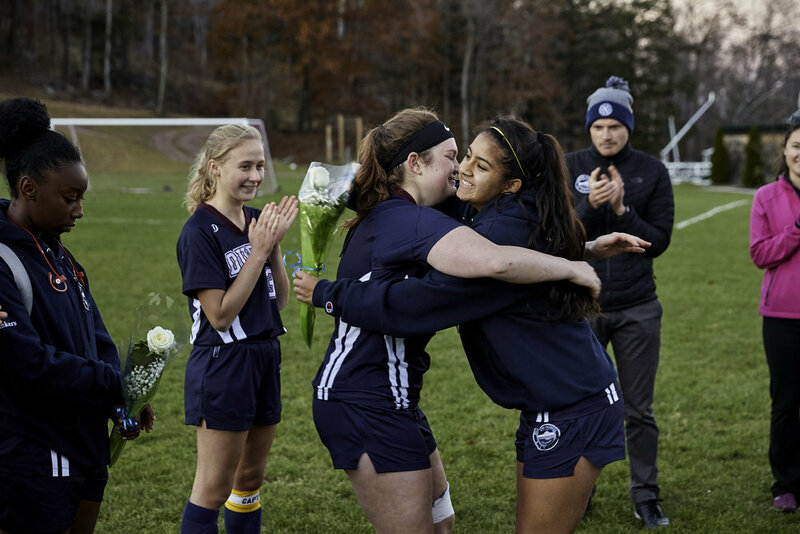 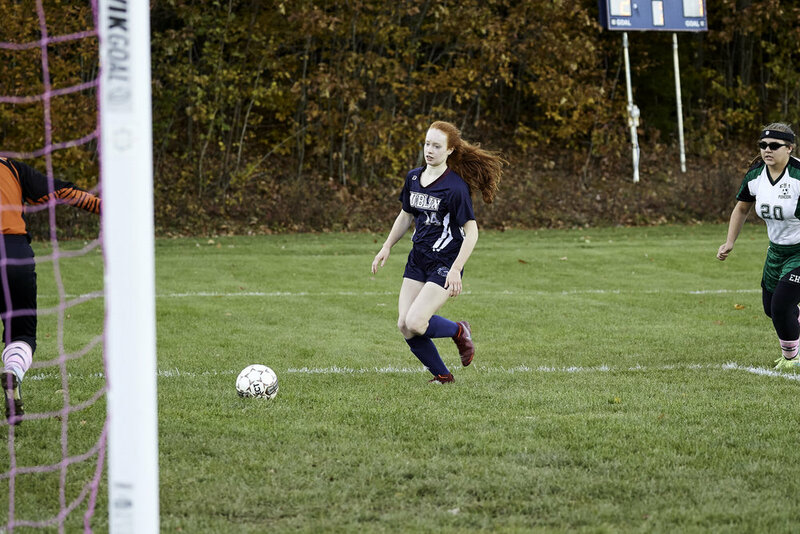 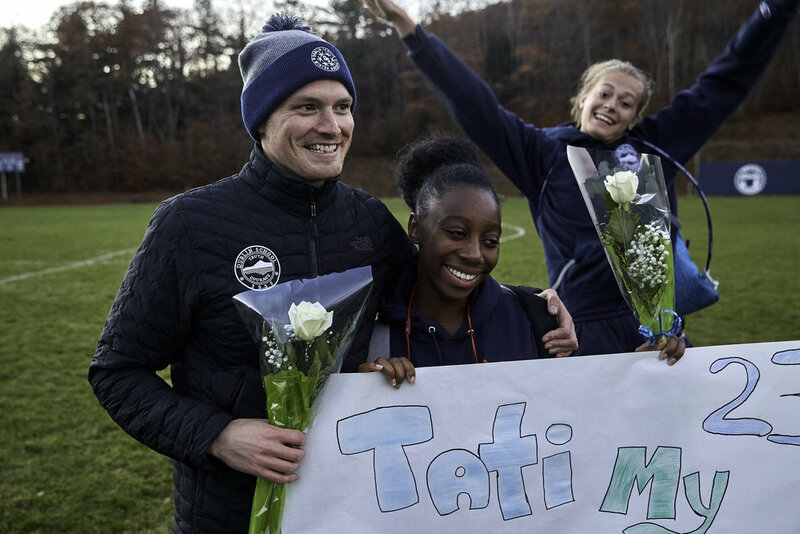 The Dublin School girls soccer team played an away game vs. NEPSAC power Vermont Academy. 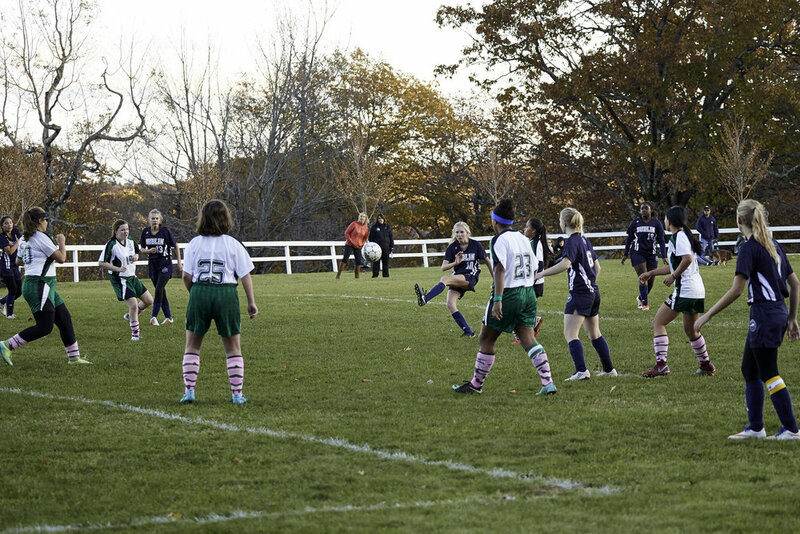 The girls held up well for the first 10 minutes but an early goal spelled the beginning of the end. 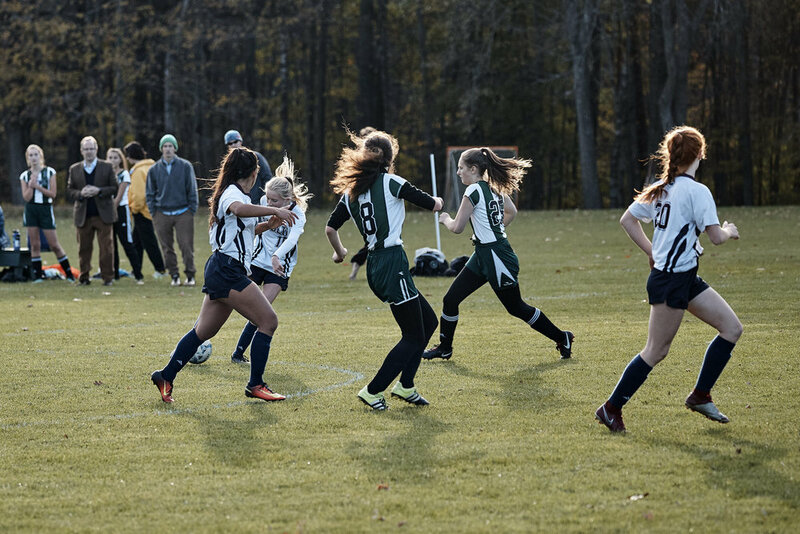 VA went on to score six more for an 0-7 loss. 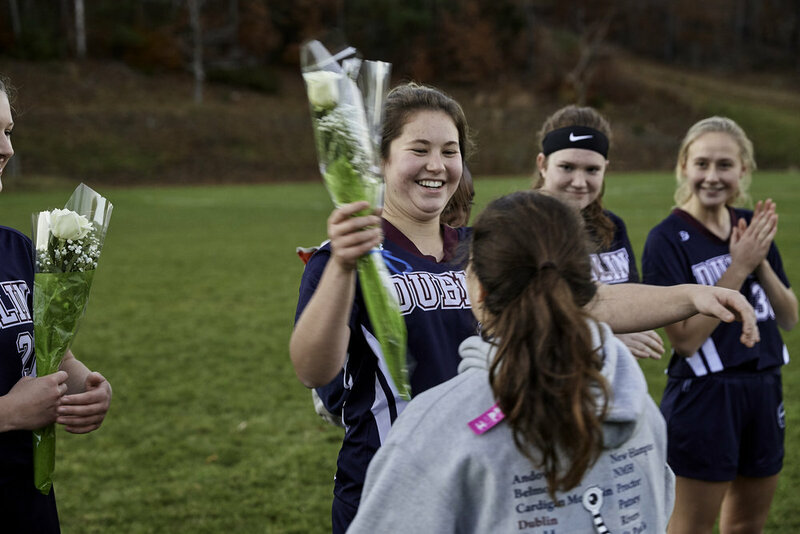 However the girls definitely got opportunities to show off their immense talent: starting goalie Christen Taylor had 22 saves on the day, and first year player and senior Theresa Barth started her first game. 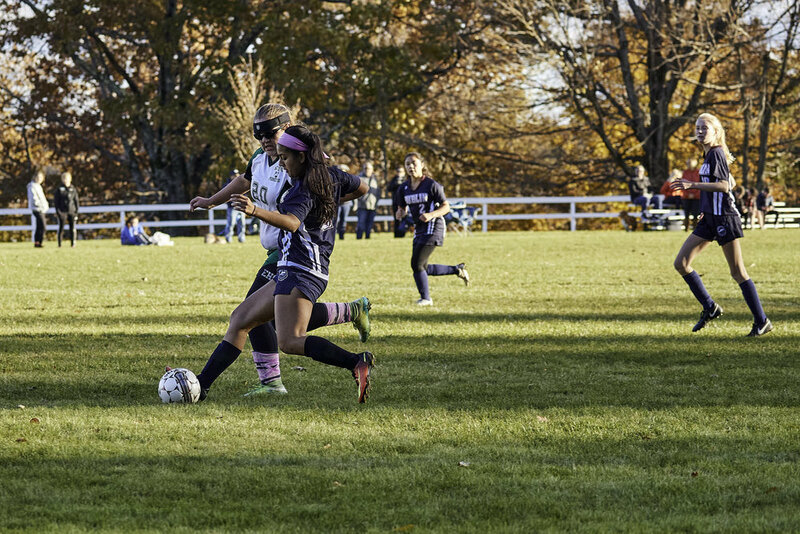 Though it wasn’t a win, the girls demonstrated qualities such as respect, maturity, and perseverance. 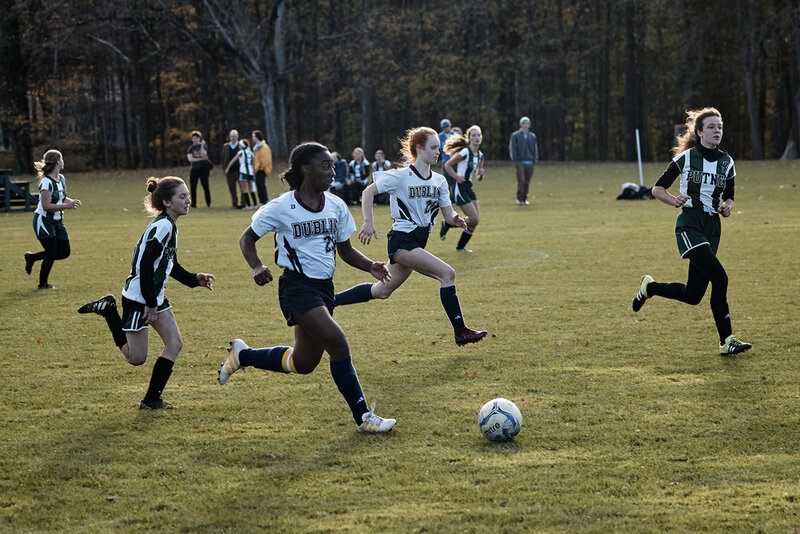 Sunshine and warm weather greeted the girls team during their Wednesday game against New Hampton School. 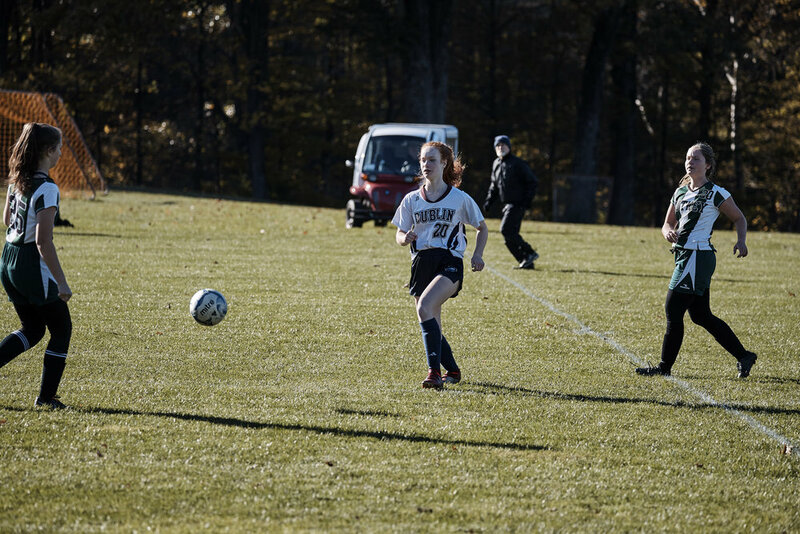 Despite struggling to play well in midweek games, the Wildcats scored two goals in the first ten minutes, then put in another two in during the second half. 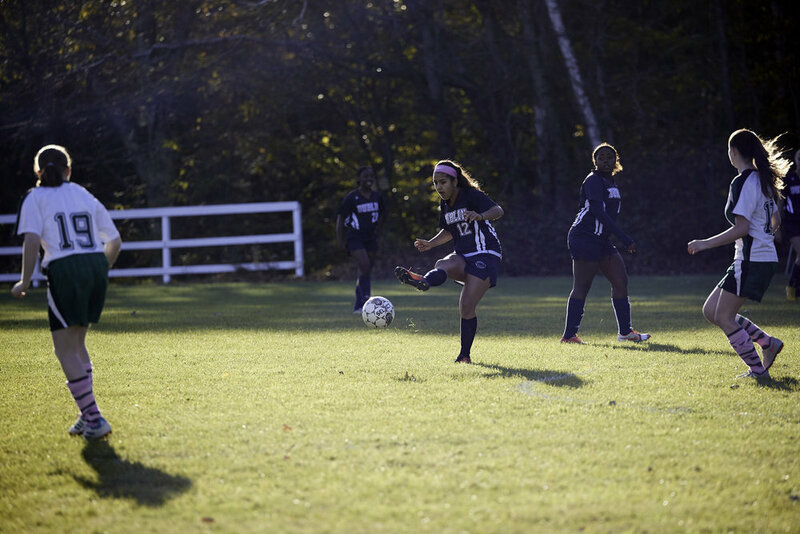 Blessing scored one, Lucy two, and Kusum one. 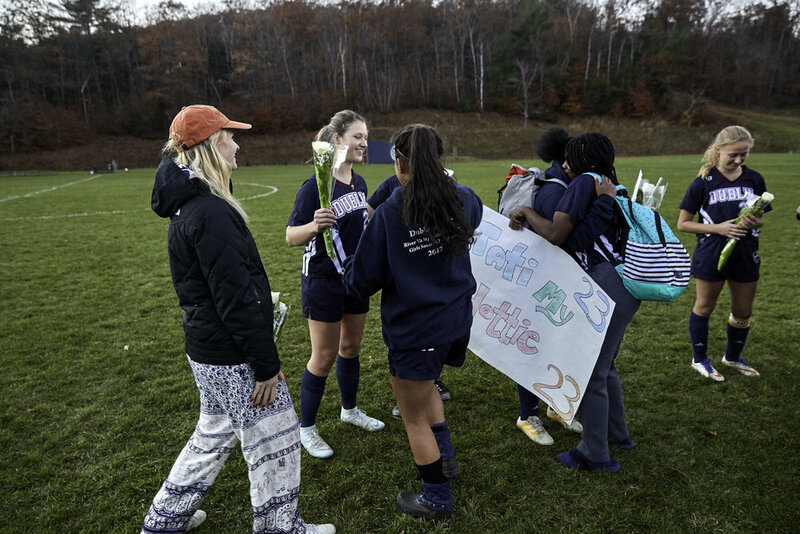 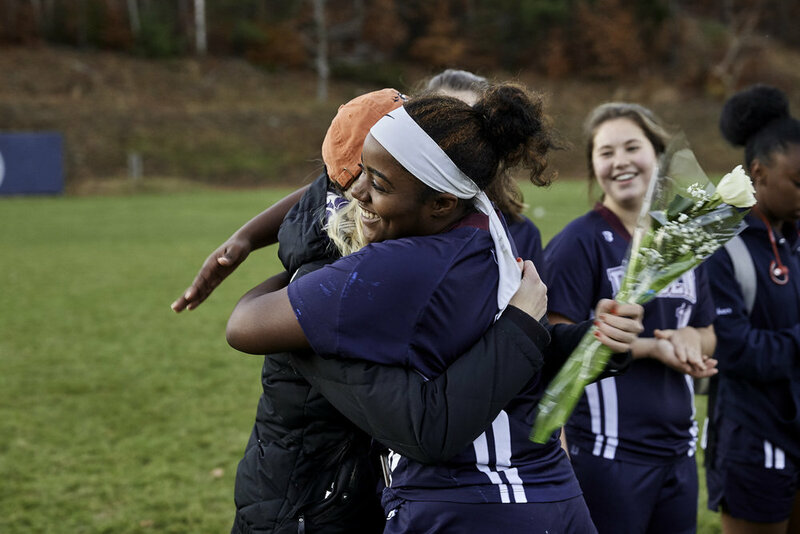 With a comfortable lead, many players got to play up and down the field and try out new positions: Emily Blieberg finished the game in goal, while newcomers Almesha Duhart and Theresa Barth both got minutes in the game. 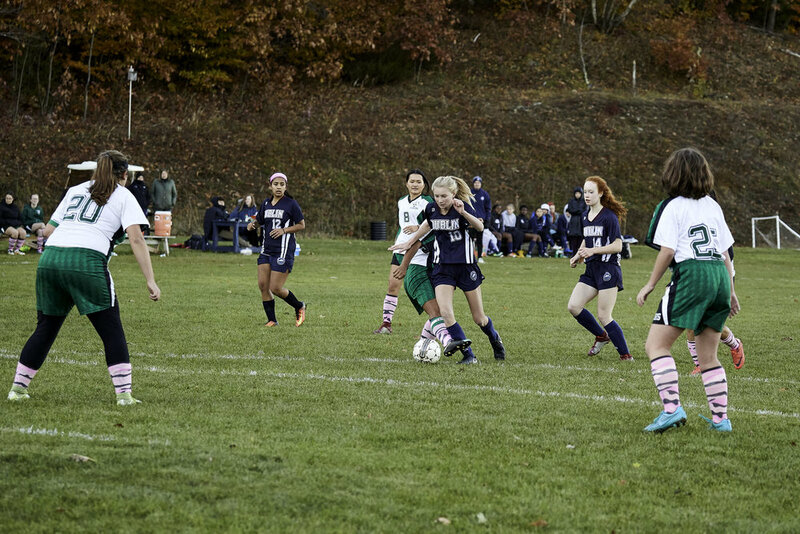 The girls played some of their best soccer of the season and should be proud of their 4-0 victory.